This new book gives English speaking readers the first opportunity to have access to the important facts about the breed which have only been available in other languages. The interesting history of the breed is described in great detail with words and informative illustrations. It shows how the standard is to be interpreted and how the individual traits should be considered in the show ring and in breeding. Particular attention is paid to the distinctive features of the temperament and behavior of these former farm dogs, showing how their history has molded their character and behavior. The inclusion as an appendix of the first complete translation of Professor Albert Heim's text, "Die Schweizer Sennehund" published in 1914, makes this book particularly valuable. 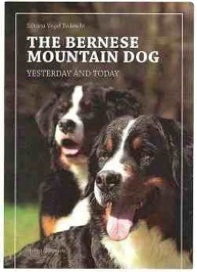 It will be the standard work on Bernese Mountain Dogs for many years to come. A MUST HAVE For any serious berner fan!!! 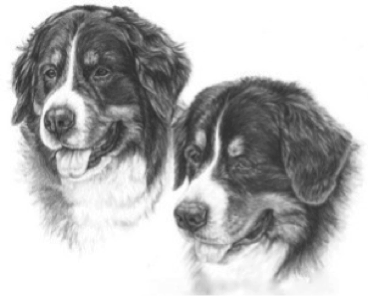 LionHeart Bernese Mountain Dogs was established in 1993 after we acquired our first berner, CH Pioneers Liberty, from Ruth Reynolds. I was SO amazed by the depth of character in these dogs that is wasn't long before I went looking for berner number two, and our first champion, CH Pioneers Off to Oz v Kruggerand. These two were quite the pair and the more time I spent with them while achieving their championships and with other berners, the more head over heels in love with this breed I became. I was fortunate enough to be one of the lucky ones that came into this breed with a wonderful breeder/mentor. Ruth taught me a lot about the breed as well as the type of breeder I wanted to be. I thank Ruth for taking the time with me, having patience to deal with me and my many questions and for believing in me enough to trust me with these amazing dogs. Since then I have gone on to obtain several dogs, work with many wonderful breeders and achieve many championships. I have learned more lessons from these dogs than I ever imagined possible., with the biggest lesson being..... I will never quit learning from them! I place great importance on health, longevity and soundness, both in body and mind! Along with this I strive to produce dogs that possess all the breed type and characteristics that this breed was meant to have as well as protecting the overall integrity of this beautiful breed.